Some of the artifacts while being transferred to its new location- Egypt Today. CAIRO – 29 November 2018: The National Museum of Egyptian Civilization in Fustat received 800 antiquities that previously resided in the Grand Museum in Tahrir. These are the last pieces of a total of 6559 antiquities previously transferred in several stages. Mahrous Said, general supervisor of the National Museum of Egyptian Civilization, clarified that the transportation works come within the framework of the Ministry of Antiquities' plan to prepare for the opening of three new exhibition halls in the museum. Said further added that the antiquities discovered in the excavations of Ezbet el-Walda in Helwan, headed by Egyptian archaeologist Zaki Sa'ad, have been deposited in the basement stores of the Egyptian Museum of Liberation since its discovery between 1941 and 1954. The collection includes a number of rare artifacts which reflect the political, financial, social and spiritual life in ancient Egypt. One of the most significant pieces within the collection is limestone doors that constitute an important architectural element in the construction of Egyptian tombs in ancient times. The collection also includes a number or pots, as well as tables of marble, basalt and other stones. Additionally, the collection contains a number of coffins made of pottery and a number of ornaments made of agate and glass. Amidst heightened security measures around Cairo, which included emptying up the entirety of the Four Seasons Hotel for his entourage, the controversial Saudi Crown Prince landed in the Egyptian capital earlier this week as the third stop of his tour of Arab countries, after visiting UAE and Bahrain. Saudi Arabian media spared no effort in making the tour a successful PR stunt. In an incident that infuriated many Egyptians, Saudi local media propagated a fake photo of the Giza Pyramids with the Saudi flag projected on them, which they described as a 'welcome gesture' to the Crown Prince - except that it never happened. Tunisia, dubbed the Arab world's only democracy, was the last stop on MbS' Arab tour before taking off to the G20 Summit in Argentina - all the more reason why the young crown prince was seeking to showcase the support his rule still enjoys in the region despite having ordered the horrifying killing and dismemberment of Saudi dissident Jamal Khashoggi in Istanbul's Saudi Consulate, as concluded by the CIA. However things didn't exactly go as planned. Following the backlash, Egypt's Ministry of Antiquities denied the claims, saying that no flags of any countries were projected on the Pyramids as of recent. "Not Saudi Arabia's flag nor that of any other country," said a ministry official to Masrawy. It should be noted that, despite the warm official welcome of the prince in Egypt and other Arab countries, he was also severely attacked in a statement by more than a 100 Egyptian journalists, who described the Saudi Royal Family as the 'biggest threat to freedom of speech, not just today, but throughout history,' as reported by Mada Masr. Furthermore, Tunisia, being a democracy and all, saw widespread protests against the crown prince, with protesters demanding his departure while describing his visit as an 'insult to the values of the Tunisian revolution'. We get it, your royal highness, PR work is exhausting and you do what you got to do, but better steer clear of the Pyramids next time. Archaeologists discover 4,000 year-old-game in rock shelter. It's called "58 Holes"
The exciting Bronze Age discovery was made in a rock shelter in Azerbaijan, and it suggests that the ancient people who designed it had long-reaching and intriguing cultural exchanges. 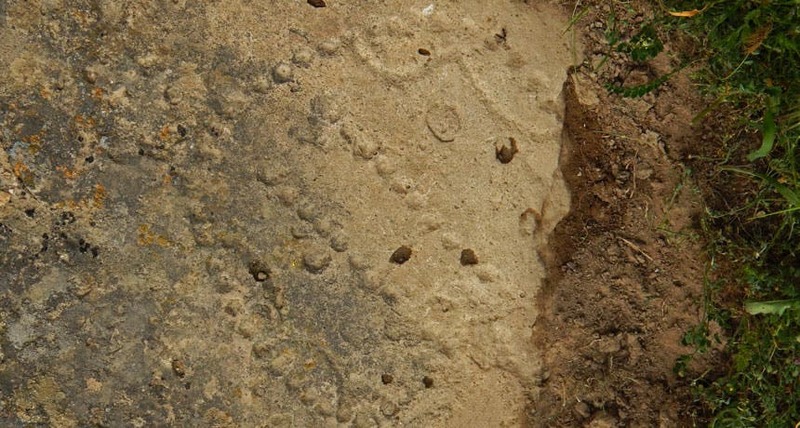 A dot pattern chiseled on stone at a Eurasian rock-shelter indicates that an ancient Near Eastern game called 58 Holes quickly spread to a distant herding population, a scientist says. Image credits: W. Crist / Gobustan State Historical and Cultural Preserve. A game called "58 Holes" or "Hounds and Jackals" is believed to have been invented in Egypt 4,200 years ago, becoming increasingly popular over the next centuries, and ultimately fading away some 3,650 years ago. But before its popularity dropped, it reached other parts of the world, such as Mesopotamia and Persia, where it also became pretty common. At least 68 gameboards of 58 Holes have been found archaeologically, including examples from ancient cities such as Babylon, Ur, and Thebes. Archaeologist Walter Crist had been looking for examples of the game in the Azerbaijan area (which lies in the Caspian, a former USSR region). He got lucky when he found a photograph in an Azerbaijani online magazine. He had a contact in the country and arranged to visit the country in April 2018. His luck, however, took a turn for the worse: the site had been scrapped by bulldozers to develop a residential neighborhood. Thankfully, a science official learned of the situation and informed Crist about another similar pattern. The archaeologist traveled to the new site and indeed found another board game sketched on the inside of a Bronze Age rock shelter that dated to approximately 4,000 years ago. Although precise dating has not been carried out, the archaeological context strongly suggests this approximate time frame. "Bronze Age herders in that region must have had contacts with the Near Eastern world," Crist said. "Ancient games often passed across cultures and acted as a social lubricant." In the game, the two players are each presented with five pegs and dice. They have to reach a common end-point finish by moving their pieces along their respective tracks had to reach the finish, a common end-point, by moving their pieces along their respective tracks. The "Hounds and Jackals" name comes from decorative shapes of the heads of playing pins found in Egyptian sites, where one player's pins would be sculpted in the shape of a hound, whereas the other player would have jackals. The pegs found at some archaeological sites were made of valuable materials such as gold, silver, or ivory. Of course, most versions would have featured simpler pegs made from wood, but these would have perished by now. For the second time this month Egypt has been in the headlines of the international newspapers as a result of new archaeological discoveries. Before Queen Hatshepsut's Temple at Deir Al-Bahari on the west bank of the Nile at Luxor, the stage was set for dozens of journalists, photographers, MPs and others to make the journey to the Al-Assasif Necropolis to catch a glimpse of the newly discovered tomb of the overseer of the mummification shrine of the Mut Temple and explore the entrance of a previously undiscovered tomb, dubbed TT28. At the bottom of a hill and down 10 steps, the tombs are on the edges of a small stony courtyard. On the left-hand side is the newly discovered tomb of the overseer of the Mut Temple, Thaw-Rakhtif, its walls adorned with painted scenes and containing sarcophagi and parts of a funerary collection. On the right-hand side is the previously undiscovered tomb TT28, together with its original entrance. 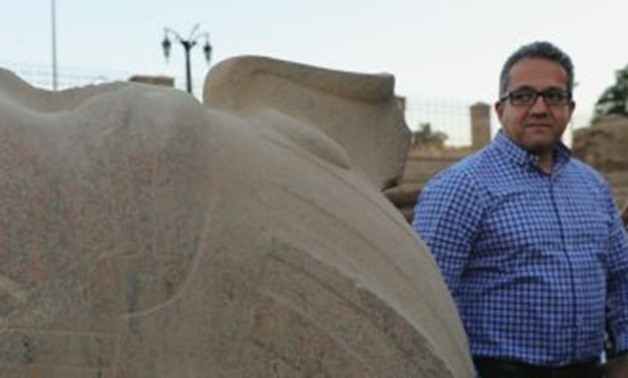 Minister of Antiquities Khaled El-Enany told Al-Ahram Weekly that an Egyptian archaeological mission had stumbled upon the discovery after removing 300 metres of rubble during five months of work. He said the discovery highlighted the role and importance of the Al-Assasif Necropolis in the ancient period. Although the tombs are dated to the Ramesside Period, the sarcophagi and funerary collection inside them do not belong to the owners, but to other officials of the Late Period, indicating that the tombs were reused. Both sarcophagi in the tombs belonged to a man named Padist and his daughter Nesmutamu, a singer to the god Amun-Re. El-Enany described the sarcophagi as "magnificent" as they show the skills of the ancient Egyptian artisans as well as the high quality of their fabrication. They are carved in black wood and decorated with gilded hieroglyphic symbols, and each has an anthropoid lid depicting the facial features of the deceased and his daughter, with the eyes and eyebrows outlined with golden sheets. Both sarcophagi contain a mummy wrapped in linen sheets. Mustafa Waziri, secretary-general of the Supreme Council of Antiquities (SCA) who led the mission, said that although the Thaw-Rakhtif tomb was not in good condition, it had a very distinguished funerary collection. Some parts of the walls still retained the original paintings, especially those located near the entrance and the adjacent wall, he said. They show Thaw-Rakhtif in different positions with members of his family and his wife Sekhmet Nefret, a singer of the god Amun-Re. Waziri said that in a side room inside the tomb a small burial with six unidentified mummified skeletons had been found, among them the skeleton of a baby. "It may be the grave of a family member or a relative, but we cannot say for sure until the completion of the archaeological study," he added. He said that a collection of more than 1,000 ushabti figurines carved in terracotta, faience and wood in different sizes and shapes had also been unearthed, along with two black wooden statues of Padist, painted wooden statuettes, and five funerary masks. Two limestone lids of canopic jars and an alabaster jar adorned with a hieroglyphic text painted in green were also unearthed, as well as wooden statues of the god Anubis, a symbolic painted coffin, and parts of statues. A papyrus inscribed with chapter 125 of the Ancient Egyptian Book of the Dead was among the funerary objects unearthed. SECOND TOMB: Tomb TT28, which belonged to Hori, an officer of Amun during the Ramesside Period, has been uncovered with its original entrance. Waziri said that the original design of the tomb had been discovered, and it was different to the one described on its discovery. After the announcement of the discovery of the tombs, El-Enany, Waziri, Luxor Governor Mustafa Alham and other attendees headed towards a neighbouring tomb, TT33, which belonged to Pediamenopet, a 26th-Dynasty priest, to witness the opening of an 18th-Dynasty painted coffin unearthed in the tomb's open court. The coffin is one of two found earlier this month by a Franco-Egyptian mission from the French Institute of Oriental Archaeology (IFAO) and Strasbourg University in France. "The first is a painted rishi-style sarcophagus from the 17th-Dynasty and was opened on its discovery revealing the mummy of a priest," El-Enany said. This is the second time a minister of antiquities has opened a previously unopened sarcophagus before the world's assembled media. The first was in the early 2000s when former minister of antiquities Zahi Hawass witnessed the opening of a sarcophagus uncovered by a Spanish-Egyptian mission in the adjacent necropolis of Draa Abul-Naga. Upon removing the lid, the well-preserved mummy of a woman called Thuya was revealed wrapped in linen. French archaeologist Frédéric Colin who led the excavation told the Weekly that early examination had shown that the mummy belonged to the 18th Dynasty and had been restored and re-wrapped in linen during a later period as the style and way of wrapping were similar to those used in the Late Period. More research will be needed to understand the discoveries, he said. Tomb TT33 was originally uncovered in 1737 when British traveller Richard Pocoke visited the area and thought it was part of a subterranean palace due to its vast size. In 1881, the tomb was excavated by Johannes Dümichen from the University of Strasbourg, who reported that it was composed of 22 rooms connected to each other by long corridors on three levels and extending 20 m below ground. During the recent cleaning, restoration and conservation of the tomb, which contains engravings from the Ancient Egyptian Pyramid Texts and the Book of the Dead, the mission stumbled upon two painted coffins, one of which has been opened. IPET TEMPLE: At the same time, El-Enany embarked on an inspection tour of the Karnak and Luxor Temples to check the latest development work. The Karnak Temple is undergoing major improvements to make it the first in Egypt to be friendly to disabled visitors. Wooden ramps and paths for wheelchairs along with information boards accessible to those with impaired sight and hearing have been installed. Mustafa Al-Saghir, director-general of Karnak Antiquities, explained that the podium area and the area between the Teharaka Column and the open-air museum features ramps 1.5 metres wide for disabled visitors, while a wooden slope has been installed in the Avenue of Sphinxes. Conservation work at the Ipet precinct in the Karnak Temple is also at full swing to meet the deadline for its opening to the public on World Heritage Day in 2019. The conservation work includes the cleaning of the temple's walls and ceilings, as well as the consolidation of the paintings. Bird deposits have been removed and a wooden ramp put in place to facilitate visitors. The temple is located on the southern axis of the Amun-Re Temple at the Karnak Temple, and according to an ancient Egyptian religious belief was the resting place of Ipet, the goddess of food and protection, when she gave birth to her son Osiris. The walls of the precinct are decorated with coloured engravings depicting Ipet with different deities, as well as other religious inscriptions. At the Luxor Temple El-Enany inspected the open courtyard of Ramses II and his newly restored colossi. The court is lined by a double row of 14 columns with lotus-bud capitals and 11 colossi of the king. The columns are decorated with scenes of the Pharaoh making offerings to the gods. On the southern wall is a procession of the 17 sons of Ramses II with their names and titles. Some of the statues are headless or have collapsed, having probably been damaged during the reign of king Cambyses or afterwards. "It is time to reassemble these colossi," Waziri told the Weekly, adding that the mission had so far reassembled, restored, and reinstalled the heads of two colossi to their original position, while a third is still under restoration. Each head weighs 250kg. Still at the Luxor Temple, El-Enany announced that the fifth colossus of Ramses II decorating the temple's first pylon will be restored, reassembled and re-erected to its original position to join its four twins before the pylon. Over the last two years, the ministry has succeeded in reassembling and lifting up two of the colossi that once decorated the façade of the temple's first pylon. In 1958, an Egyptian archaeological mission led by Mohamed Abdel-Kader uncovered the statues along with others broken into parts as a result of damage sustained during an earthquake in the fourth century CE. "The blocks were removed and placed [for an interim period] in wooden shelters on the first pylon's eastern side," Waziri said. The last colossus will be restored in collaboration with an American mission from Chicago. To mark the 116th anniversary of the Egyptian Museum in Tahrir Square, the Ministry of Antiquities organised what, to me, was a landmark event that serves to demarcate the dividing line between this venerable establishment's over a century-long past and its future as a truly modern museum, employing the latest techniques to display a unique collection of antiquities that can be seen nowhere else. We are speaking of a rebirth of a major historic museum. They were made of gilded cartonnage and inlaid with precious stones. It also features Yuya's war chariot, which reminds us of the gilded chariot of King Tut, as well as the splendid funerary furniture — gilded chairs, beds and jewellery boxes, all inlaid with precious stones, ivory and ebony — and alabaster and coloured limestone jars and other vessels. Of particular importance in the collection are the mummies of Yuya and Tuya which, much to the discoverers' amazement, were found in excellent condition. One of the most splendid artefacts to be exhibited for the first time is the Yuya papyrus. Restored and pieced together by the museum's experts, it is 20 metres long — the longest papyrus ever to be displayed in Egypt. 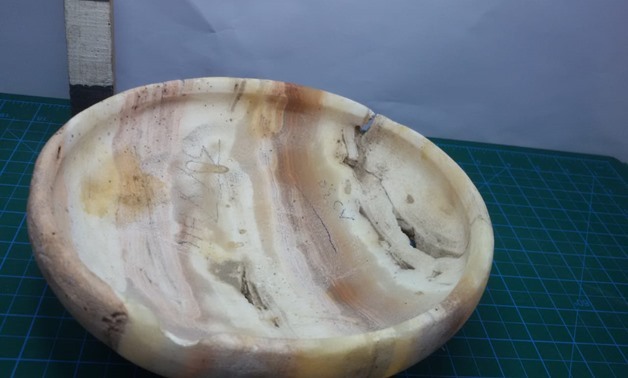 In a sense, therefore, GEM has liberated a large number of artefacts that had been kept in hiding in the Egyptian Museum's storerooms and that will be displayed to the public for the first time, either in the new museum or in the old. The opening of GEM, therefore, will mark the rebirth of the museum founded by Auguste Mariette, the first director of antiquities in Egypt, in 1858 and officially inaugurated in 1902 in order to, as he said, "safeguard the antiquities of Egypt from plunder and destruction." CAIRO – 28 November 2018: The Egyptian-American archaeological mission began the restoration and assembly works of the last statue of King Ramses II, located in front of the Luxor Temple. Mustafa Waziri, secretary general of the Supreme Council of Antiquities, clarified that the renovation works will be carried out in cooperation with the Chicago House. The renovation works will include the assembly, restoration, re-installation and elevation of the statue to its original location in the first edifice of the Luxor Temple. During the previous two years, the restoration and collection of two other statues were carried in Luxor, making this the last statue for King Ramses II to be restored. Waziri further commented that Minister of Antiquities, Khaled al-Anani, recommended that the works be completed by April 2019 to unveil the statue in conjunction with the celebration of World Heritage Day. Ahmed el-Araby, general manager of the Luxor Temple, commented that the statue was made of pink granite and was found in several parts, the largest being the head of the statue. Araby added that the remains of the statue were discovered during excavations of the Egyptian archaeological mission headed by Mohamed Abdel Kader inside the temple from 1958 to 1960. The excavations were able to detect several statues that were found destroyed likely due to an earthquake. Abdel Kader took the destroyed blocks and assembled/restored them, placing them on wooden terraces beside their original place to protect them. 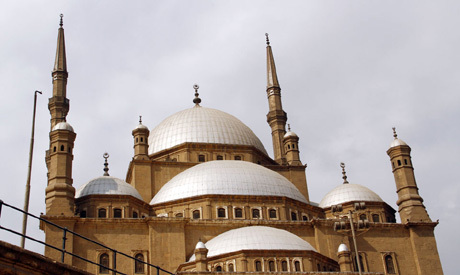 The Egyptian Ministry of Antiquities has completed the conservation work on the second chandelier inside the famed Muhammad Ali Mosque on Cairo's Citadel. Gareeb Sonbol, the head of the Central Administration of Conservation, said that the chandelier, located in the north-eastern corner of the 19th century mosque, was in poor condition and conservation work was carried out. All of the decoration and accessories on the chandelier were cleaned, and its branches were restored using parts sourced and created similar to the originals. 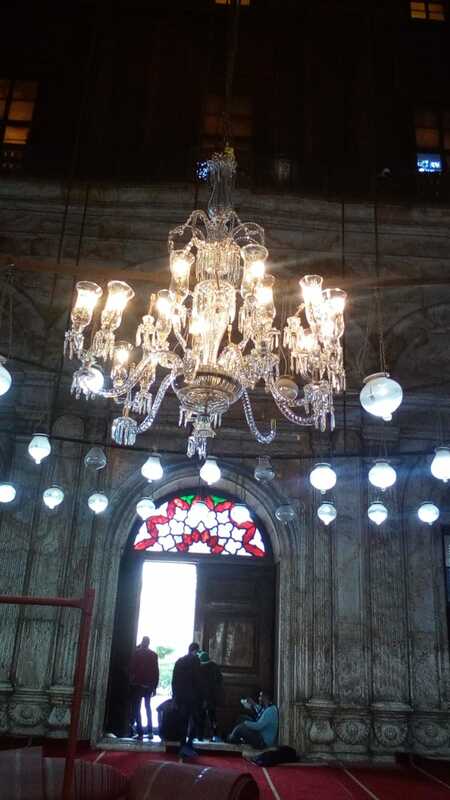 The ministry started a project to conserve the mosque's chandeliers earlier this year; this is the second to be completed, out of nine in total. The first one was located at the southern side of the mosque and completed two months ago. 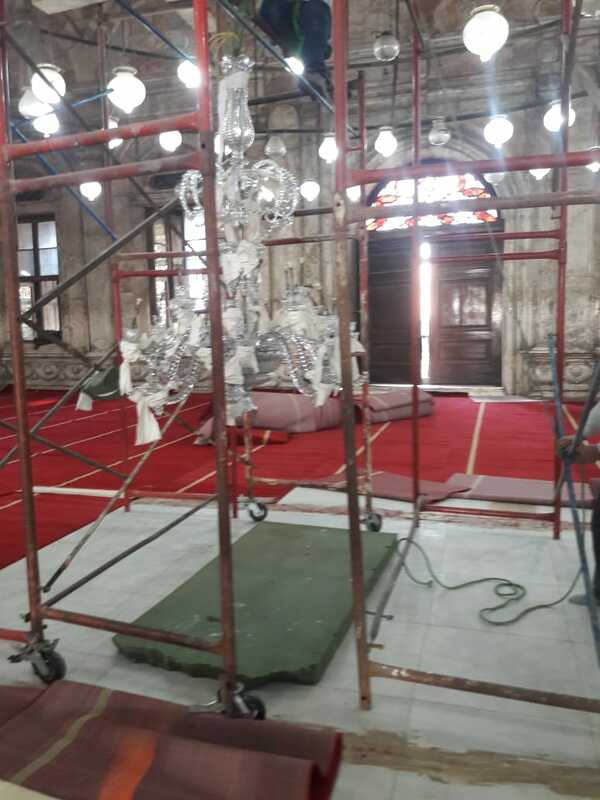 The restoration team will now begin the restoration of the mosque's main chandelier, which was a gift to Muhammad Ali Pasha from King Louise Philippe I of France. The mosque, which was built between 1830 and 1848, is also known as the Alabaster Mosque due to its alabaster-covered interiors. The Turkish architect Youssef Boushnaq designed the mosque in the style of the Sultan Ahmet Mosque in Istanbul. The Egyptian government has launched an initiative to restore the ancient village of Shali, in the middle of the Sawi oasis, and promote it through eco-tourism. Decaying buildings are seen amid the ruins of the ancient fortification of Shali, in the center of the Siwa Oasis, Egypt, Dec. 21, 2004. CAIRO — The ancient village of Shali stands as a formidable fortress in the middle of the Siwa oasis in Egypt's Western Desert. Built in the 13th century to protect the inhabitants of this remote strategic location 340 miles west of Cairo, Shali today is on the verge of rebirth as a destination for ecological tourism. After seven centuries of habitation, a three-day wave of heavy rain in 1926 severely damaged the buildings of the village, which had been constructed from a mix of salt, rock and clay called "kershef." As a result, most residents were forced to relocate outside the village. Over the decades, the village began to be referred to as the "City of Ghosts," due to only a few of its buildings being used, as remains the case today. Shali's ruins are one of the main draws in Siwa, attracting tourists as well as archaeologists. In mid-October, the Egyptian government announced a plan to preserve what remains of Shali and to restore some of its buildings. Emad Farid, an architect at Environment Quality International (EQI), the company overseeing implementation of the plan, explained to Al-Monitor that the project consists of rehabilitating the streets and the main wall around the village and restoring three houses to showcase different types of buildings. A study of Shali's remnants involving input from residents will also be conducted. Farid said, explained, "We discuss a lot of things with Siwa's elders and leaders, who have a lot of knowledge about the buildings and can help us identify all the details." The Ministry of Antiquities is supervising the project, which is being funded by the European Union (EU) and is scheduled for completion by 2020. "Shali is a very important part of Egyptian heritage and culture," Gamal Mostafa, head of the Islamic, Coptic and Jewish Department at the Ministry of Antiquities, told Al-Monitor. "It is part of our history. You can imagine how life was like for the Egyptians in that area and the problems they faced before the government could arrive there during the era of Mohammed Ali [in the early 19th century]." Beyond the objective of preserving a valuable part of Egyptian heritage, the restoration project has the broader goal of boosting tourism outside Cairo. In the particular case of Siwa, the plan is to develop and promote the area as an ecotourism destination, an effort made public in March 2017 by Alaa Abu-Zaid, former governor of Matruh, during a tourism conference in Siwa. Mahmoud al-Qassiouni, an ecotourism adviser to the ministers of tourism and environment from 2009 until 2014, told Al-Monitor, "The natural heritage of Egypt is incredible, [and] Siwa's potential is enormous, but we have to deal with it from the perspective of environmental awareness, because it is an extremely fragile environment, and we should protect it." Because of the area's fragility, the Ministry of the Environment is working hand in hand with the Ministries of Tourism and Antiquities. Environment Ministry spokesperson Abdel Gawad Abu Kab explained to Al-Monitor that the major challenge at the moment is preserving the traditional way of building. Modern structures have been proliferating, threatening the landscape of the oasis as well as the potential of ecotourism. "We are spreading environmental awareness so we can convince the community that a unified environment of houses in Siwa is the most suitable for the oasis," said Abu Kab. Despite Siwa's tourism potential, the number of visitors has been substantially reduced as a result of the instability triggered across Egypt following the January 25 Revolution in 2011 as well as Siwa lying only 31 miles east of Libya and the ongoing unrest in that country. Ahmad Hassan, vice president of the Siwa Shali Group, which owns a travel agency specializing in the Western Desert and the Siwa Shali Resort, told Al-Monitor that today around 70% of visitors at the resort are from Egypt and the rest are foreign tourists. Before the revolution, those numbers were reversed. Asserting that there is no reason for this shift, Hassan said, "Despite the security warnings from certain embassies not to go to Siwa because it is near to Libya, Egyptian borders are safe and there has not been any incident in recent years, so we need to re-establish the 2010 levels [of tourist arrivals]." Siwis working in the tourism industry have praised the plan to restore Shali as a way to promote their sector, which is only now beginning to recover from the severely negative effects of the 2011 upheaval. "Now ecotourism is a trend all over the world, because new generations are looking for it, and we have great possibilities in Siwa to develop such tourism, because [the place] is very well suited," said Hassan, whose Siwa Shali Group is a member of the Chamber of Tourism. "[That is why] the initiative to restore Shali is good, because it helps us to develop the flow of tourists in the area." Speaking to Al-Monitor, Abdallah, who owns a shop selling handmade Siwan products in a bazaar next to Shali, said, "If old Shali and its surroundings are repaired, that will provide all the people in the area with new opportunities to open businesses for tourists." Khaled, the owner of a hotel next to old Shali, agreed with Abdallah while also asserting that new touristic initiatives must preserve and respect the value already extant in Siwa. Khaled told Al-Monitor, "Sustainable tourism is most suitable to Siwa [because] this is all part of our heritage and our culture, and also because we don't want to miss in the future what we had in the past. We need to preserve it for the generations coming after us." In the eyes of Samantha Fathalbab, an Egyptian who has visited Siwa several times and owns a shop in Alexandria promoting products from the oasis, ecotourism is indeed the best way to approach the area. "Being environmentally friendly and having a sort of natural and organic experience is close to Siwis' way of life," she told Al-Monitor. "Siwa is still a very pure place. It is not consumed by commercialism, so it is important to continue to respect [that]." You'd expect nothing less for the goddess of love and beauty. Every other week, it seems like archaeologists are announcing new discoveries around Egypt – whether sarcophagi, mummified cats, ancient love spells or even socks. So much so, in fact, that these new discoveries – well not, necessarily socks and hypothetical love potions – resigning the old, old stuff to being just another artefact or temple. One photographer, however, has reignited interest in the often ignored, lesser-known Dendera Temple in the Upper Egyptian city of Qena - particularly the Temple of Hathor. The city of Dendera, located on the west bank of the Nile about 60 km to the north of Luxor, was once the cult centre for the Hathor- goddess of love, beauty, music, and dance. The temple complex is of the most well-preserved ancient structures in the world, with the Temple of Hathor being the largest and most impressive of the lot. What makes the Temple of Hathor so stunning is not only its origins and its prime condition, but the designs themselves inside. The colour scheme is splashed with gorgeous shades of turquoise and teal, the hieroglyphics and illustrations inside with impeccable symmetry for its time. One of the reasons it's believed that the temple is in such good condition is the fact that it has been modified several times, starting in the Middle Kingdom, all the way up to the rule of Roman emperor, Trajan. The Dendera Complex as a hole stands as one of the most accessible ancient Egyptian temples, with visitors able to explore virtually every part of it. Images courtesy of Reem Osama on Facebook. In the shadow of the pyramids of Giza, lie the tombs of the courtiers and officials of the kings buried in the far greater structures. These men and women were the ones responsible for building the pyramids: the architects, military men, priests, and high-ranking state administrators. The latter were the ones who ran the country and were in charge of making sure that its finances were healthy enough to construct these monumental royal tombs that would, they hoped, outlast eternity. In the Old Kingdom, a period that stretches over roughly 500 years (2686–2181 BC), the economy was primarily agrarian and so heavily reliant on the Nile. The river inundated the fields along its banks and provided fertile silt. It also enabled the transport of commodities across the country. Research suggests that the majority of the cultivated soils were part of large estates that were under the control of the crown, various temples, and wealthy estate owners, who were usually royal officials. Such estates should not be regarded as entirely separate units but as intertwined. They were often part of the same redistribution network, ultimately responded to the king, and were, to a certain extent, reliant on the central state administration. This system may have also involved both formal and informal networks of redistribution and favours. The society of this period has been likened to a feudal system, such as that found in medieval Europe. In general, the estates, together with towns, were the basic units of economic and societal organisation. The sources suggest that the crown did not tax individuals, such as farmers, since the administration does not seem to have been able to handle the detail of such a task on a countrywide basis. Instead, it burdened the heads of these estates, who were personally liable to deliver revenues to the coffers of the crown, and to ensure that the domain, which they oversaw, delivered the expected surplus. Failure to do so could result in physical punishment. In order to calculate the revenues and thus how much tax would be paid to the royal administration, the crown conducted periodic censuses. Individuals were not counted but rather taxable goods, such as cattle, sheep and goats. It is also clear that other products were collected, such as fabrics and other types of handiwork. The taxes that the state levied were amassed in granaries and treasuries and then redistributed back to estates or to building projects of various sorts. This could be the construction of a royal tomb and the upkeep of its mortuary cult. Evidence for how such a royal mortuary cult was run has been found at Abusir, just outside modern Cairo. These texts enlighten historians about the daily doings and dealings of the priests, and how the worship of the deceased king was connected to the royal administration and various other temples estates. The estate chiefs were wealthy, but they did work for it. They were responsible for ensuring that their estates ran smoothly and that their corvée workforce was fed, dressed, and provided shelter. In the pyramid towns at Giza, they were even fed prime beef, fish and beer. This may have been one of the perks of the corvée workforce, which was summoned from various estates across the country for royal monumental constructions. From Abydos in Upper Egypt, an inscription belonging to Weni, a judge and military commander, indicates that soldiers were conscripted from the same pool of people as the corvée workers. They would take part in various state-sponsored expeditions to mineral-rich lands bordering ancient Egypt. Raw materials like copper and hard wood (which was needed for the larger construction projects) would be brought back to Egypt. Luxury items were also brought to the Nile Valley, including exotic animals, plants, and people for the amusement of the court. The latter were certainly slaves. At Wadi al Jarf by the Red Sea coast, which functioned as a port during the Old Kingdom, papyri documents from the reign of Khufu have been found. These texts contain a log of a skipper called Merer, and his activity transporting men and goods in and out of Egypt. The papers also tell us how he and his 40 men participated in the construction work of the pyramid by shipping stone from quarries to the construction site of the Great Pyramid at Giza. It is hypothesised that these projects refined the administrative apparatus and fuelled the Egyptian economy. Merer, as well as the estate officials, were working for the royal construction department that was responsible for all major building work in the country and probably also for erecting the large pyramids at Giza and Sakkara to the South. The workforce – whether a royal administrator or a manual labourer dragging stone at the construction site – provided services to the crown. In turn, the crown reciprocated the labour by redistributing food and other commodities to the work-leaders, who themselves circulated it further down the social ladder. But it was only the people higher up in the hierarchies that could also be rewarded with a state-sponsored mortuary cult next to the king's tomb. 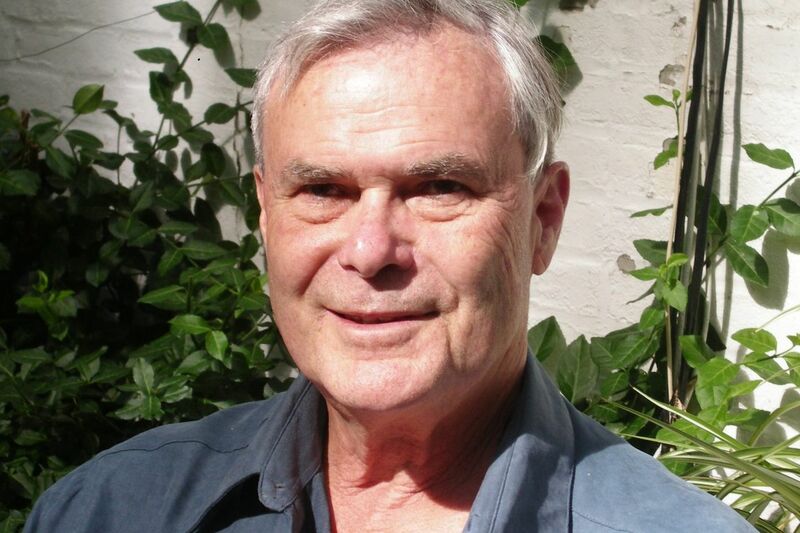 Donald White, 83, of Philadelphia, an internationally known archaeologist at the University of Pennsylvania and curator of the Penn Museum's Mediterranean section, died Wednesday, Nov. 21, of injuries sustained in a car accident. Professor White and his wife, Joan, were returning from a family visit to Brooklyn, N.Y., on Nov. 18, when their car went out of control, hit a pole, and overturned on Route 30 in Camden. Both were cut out of their seat belts by Good Samaritans and taken by medics to Cooper University Hospital. Joan White was treated and released. Professor White never regained consciousness and died after life support was removed, in keeping with a living will, his family said. Starting in 1973, Professor White spent three decades teaching and inspiring students in a classroom in West Philadelphia and on archaeological digs halfway around the world. He held the titles of professor of classical archaeology and curator-in-charge of the museum's Mediterranean collection before retiring in January 2004. "He was especially well-known as a field archaeologist," said Brian Rose, a curator at the museum. As an explorer of the past in Libya or Egypt, Professor White was larger than life, said son Arthur. Because of that, he was often typecast as Indiana Jones, the character made popular by Harrison Ford in the 1981 film Raiders of the Lost Ark and its sequels. Little could have irritated Professor White more. "He hated the notion of Indiana Jones because he thought Indiana Jones stole antiquities," his son said. "But sometimes Donald was a dashing and really handsome man. At Penn he would wear suits and ties. In the field, he had a funny hat that he wore. My mom went with him on all the excavations." Born to Richardson White and Cornelia Hallowell White in Boston, he was raised in Cohasset, Mass. His father was a Harvard-educated sculptor, gentleman farmer, and Mayflower descendant. His mother was a Quaker and descendant of suffragette Lucretia A. Mott. Professor White graduated from the Groton School in 1954 and Harvard College in 1957. While at Harvard, he developed a passion for rowing, serving as captain of the freshman lightweight crew team. He rowed competitively well into his 50s as a member of the Vesper Boat Club and the Undine Barge Club, both on the Schuylkill. Professor White was fluent in Latin, ancient Greek, Italian, German, and French, and spoke some Arabic — skills that were invaluable in Europe and North Africa. After excavating a crockery dump as a boy and studying ancient history, he pursued a degree in classics at Harvard. He then spent six months in the Army before entering Princeton's classical archaeology program. He earned a doctorate in 1964 for research at Morgantina, Sicily. Professor White taught at the University of Michigan from 1963 to 1973. He began excavations in the coastal region of eastern Libya at the port city of ancient Appolonia, now Cyrenaica, in 1964. In 1967, he had to take the last plane out after the Six-Day War in the Mideast began. He returned to North Africa in 1969 to dig at a sanctuary in Cyrene, Libya. In 1973, after being recruited by Penn, he continued the work during the summers. His wife, an art restorer, worked on the site's artifacts, and he wrote extensively about the objects. The excavation came to a halt in 1981 when diplomatic relations between the United States and Libya broke down. In 1984, he turned his attention to a coastal lagoon in northwest Egypt near the port city of Marsa Matruh. There, he excavated a late Bronze Age settlement that proved to be the westernmost point of Minoan, Mycenaean, and Cypriot Late Bronze Age pottery along the southern Mediterranean at that time. The site also yielded the body of a German soldier, which Professor White returned to Germany. In 1990, he undertook an ambitious set of renovations to the Greek, Etruscan, and Roman galleries at the Penn Museum. "He brought wonderful creativity and educational detail to the galleries," his family said. In retirement, Professor White wrote a history of the horse in North Africa. His completed manuscript was expected to be published posthumously. A lifelong animal lover, he was always surrounded by a "peaceable kingdom" of cats and dogs, his family said. The Eye of Ra plays a huge role in ancient Egyptian mythology. It serves as the counterpoint for the sun god. It’s closely associated with a number of ancient Egyptian goddesses and it’s the sun god’s protector. It’s also the inspiration for the newest Concept x Nike Kyrie 5 colorway. The legendary eye is located on the Kyrie 5’s heel. Concepts Creative Director Deon Point didn’t stop there with the connections to ancient Egypt. He continued to look at how the pyramids were constructed. The “Ikhet” Kyrie 5 features a glowing purple outsole and midsole, a nod to the sunset contrasted with the pyramids. The red tongue is influenced by the fabled Sphinx. Before the storied Sphinx had weathered, scholars believe its nose was red. The “Ikhet” even has a Swoosh that looks like it’s been chiseled. The “Ikhet” Nike Kyrie 5 drops on December 26.